For most people, dogs are a part of the family – and just like other family members, dogs can experience anxiety in stressful situations. Dogs who are accustomed to running free and exploring can panic when they are placed in a confined space, such as a soft-sided dog crate. But dog crates are important pieces of equipment for owners. 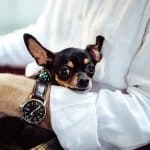 They allow pet lovers to travel with their furry friends, taking them to important veterinary appointments and even traveling on planes with them. So what happens if you have a very nervous dog that you need to put into a crate? The trick is to buy a crate that is suitable for your worried pup. Crate training can also help, but having the right equipment is vital. Some pet carriers or crates cause dogs to panic – especially those which are loud or uncomfortable. If your dog can’t relax in the crate, they’re less likely to respond well to crate training techniques. In this guide, we’ll discuss everything you need to know about buying dog crates for worried dogs. We’ll look at the best models to buy, as well as discussing crate training tips and dealing with pet anxiety. 1 What Is Crate Training – And Why Is It Important? What Is Crate Training – And Why Is It Important? Crate training involves teaching a pet to feel comfortable in a carrier, crate or cage. If carried out properly, many experts believe that crate training can help dogs to feel secure, safe and comfortable when in their crate. They begin to treat it as their own den, just as humans might feel more comfortable in their home. The domesticated dogs we keep as pets are descended from wolves. These wild animals travel in packs and protect themselves from danger with their own dens. 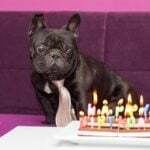 Having a small, safe and enclosed space, they can retreat to appeals to your dog’s natural instincts – even if they are a little wary of it at first. Training a dog to accept a crate is also useful for travel purposes. If you need to take your dog to the vet, or another type of journey, a crate can help logistically. Long-term confinement in a crate is not recommended or advocated. Another positive side-effect of crate training is it can help dogs gain full control over their bowels and bladder. Once they settle in their ‘den,’ they are very unlikely to soil it. This is especially important for house-training puppies. At what age should I start crate training my dog? The earlier you start, the easier the training will be. Older dogs may take a lot longer to train, especially if they’ve never spent time in confined spaces. How long will I need to use the crate for? Some dog owners use the crate for up to the first year of a dog’s life – until they are past the puppy stage and into adolescence. By this point, they should have a good idea of what behaviors are acceptable, and be well house-trained. After this point, you can use the crate for travel purposes – and your dog may still retreat to the crate of their own accord when they want to sleep or rest. There are some schools of thought which claim that keeping dogs confined is akin to cruelty. However, if crate training is carried out properly and mindfully, it’s not cruel at all. Providing your dog with a place where they feel safe and secure is an act of love. As long as you are not forcing your dog to sit in the crate around-the-clock, there’s nothing cruel about crate training. Dogs may have descended from fearsome and wild wolves, but they can still be spooked by the most innocuous things. Some dogs are scared of fireworks, and some are scared of vacuum cleaners, some are even scared of smaller dogs! It’s natural for dogs to become nervous about things that they are not familiar with. If your dog is nervous about getting into a crate, there are some things you can do to make it easier and more bearable for them. You can also take steps to make the dog crate more appealing to your pup. Treats and toys are a great reward and will help your dog to feel relaxed and happy once they’re inside. You could also place an item of worn clothing in the crate with your dog. The scent of their owner can reassure them and comfort them if they are anxious. Now that we’ve discussed why crates and crate training are so important for dogs, we’re going to look at some of the best crates and carriers on the market. These carriers have been specifically chosen for their suitability for nervous dogs. This soft-sided pet crate is supported by a steel frame, so your dog can enjoy the best of both worlds. They’ll have a robust and hardwearing home that is comfortable and won’t feel too much like a cage. It’s made from a heavy-duty tight-weave mesh fabric, so it’s very well ventilated. There are three doors on this crate, so your dog can enter the way they feel most comfortable. The front and side screens zip fully open – you could even leave some of the zippers open while your pet is getting used to the crate. The top also unzips, so you can place your pet in the carrier from above if necessary. The manufacturers of this pet carrier recognize that accidents happen – especially when crate training. The bottom of the NOZTONOZ Soft-Krate Pet Home is water resistant, and the entire thing can be easily machine washed. Dogs are unlikely to soil their ‘den,’ but if they do have an accident, it’s simple to clean up. This carrier is also very easy to put up and down. Many dog crates need to be pulled apart manually to store. This one has simple push button tabs and an accordion-like design, so it can go from fully assembled to flat-pack in seconds. It’s lightweight so that you can move it around easily, and it’s ideal for short journeys with your pet. This carrier comes in five different sizes, so all dog breeds are catered for! From tiny dogs up to 15 pounds, to larger dogs up to 90 pounds. This classic pet carrier is perfect for crate training smaller dogs. It comes in three sizes, with the largest one being safe for pets weighing up to 22 pounds. This means most mini, and toy breeds will have plenty of room to maneuver. The Sherpa Original Deluxe Pet Carrier has plenty of great credentials to back it up. It’s approved by the ASPCA, the Humane Society and plenty of veterinarians. It provides a safe and comfortable home for your small dog, and the shoulder strap means you can take it anywhere. This carrier has three ventilated sides, so your pet won’t feel too enclosed. The back has a secure zippered pocket for essentials if you’re out and about. Many people taking this carrier to the vets use the pocket for medicines or receipts. If you’re using the carrier as a home crate, you can stash treats and toys in the pocket for easy access. Comfort is a priority for this pet crate – it has a luxurious faux lambskin liner so your pet can burrow down and get comfortable. The handles and the bottom of the crate are reinforced, so despite the soft-sides, the entire thing is very sturdy. It also folds flat when it’s not in use so that you can store it easily around the house or in a car. Suitable for: Pugs, King Charles Spaniels, Toy Poodles, Shih Tzus, Shetland Sheepdogs, Pomeranians, Chihuahuas and other dogs of a similar size and weight. The last thing you want when you’re crate training a nervous dog is for them to feel cold and uncomfortable in their crate. 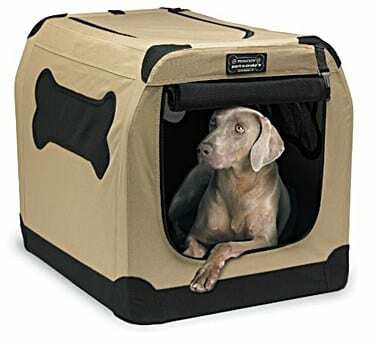 This Petnation Port-A-Crate E2 Pet Home is soft-sided, which makes it far less intimidating for nervous dogs. It’s just as sturdy as a hard-shell pet carrier, but with a much more welcoming interior. The endoskeleton of this pet home is a steel frame, so you can rest assured it’s going to last. The heavy-duty tight weave mesh fabric provides plenty of ventilation so that you can use this pet home all year round, indoors and outdoors. The construction of the crate makes it tough for pets to chew or claw at it. It’s also easy to clean up any ‘accidents,’ thanks to a water-resistant base. 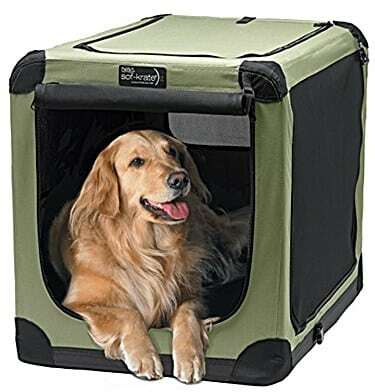 Your nervous dog can enter this pet carrier in one of two ways – through the front door, or lowered in through the top. Being lowered into a crate can be much less scary than being forced into one from the front. 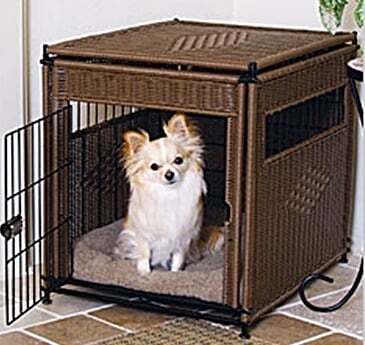 The industrial-strength zippers ensure that once your pet is inside the crate, they will be secure. There are no openings for tiny paws to get caught, and there’s a door latch for added peace of mind. Suitable for: This pet crate is available in a multitude of sizes. 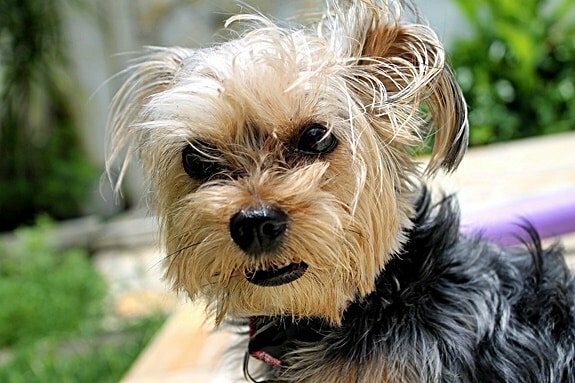 The smallest size holds dogs up to 10 pounds (Maltese, Chihuahuas, Yorkshire Terriers). The largest size can hold dogs up to 70 pounds (American Foxhounds, Boxers, Golden Retrievers, Dalmatians, Chow-Chows). This carrier is a star pick, not only for its ability to act as a crate but also for its travel credentials. It’s an FAA airline-approved carrier, and it comes with plenty of safety features that keep your pet safe on any mode of transport. For nervous dogs, the comfort levels inside this pet crate will certainly help them relax. It has a Sherpa mat inside so that they can get comfortable quickly, and the mesh sides allow them to see what’s going on around them. Many nervous dogs will panic if they can’t observe their surroundings. This crate comes with lots of exterior pockets so that you can keep toys, treats, and blankets close at hand. The door is completely zippered, so there’s plenty of space for your dog to get in and out easily. The OxGord Soft-Sided Pet Carrier can be folded flat so that you can transport it around with ease. It also comes in a range of colors. If you intend for the crate to be a permanent fixture in your home, you can match it to your existing color scheme and make it part of the furniture. Customer feedback for this carrier has been positive. Those who have purchased it recommend leaving it outside for a day or two immediately after buying, to air it out. Some have also said that it comes up slightly smaller than the measurements suggest. If you’re not sure, always go for the next size up. This will give your dog plenty of space inside the crate. 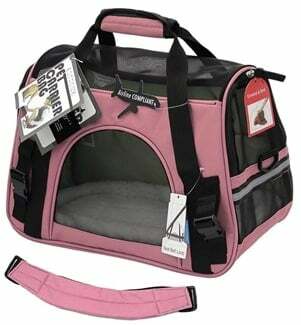 Suitable for: This pet carrier comes in three sizes. The smallest can take pets up to 10 pounds (Chihuahuas, Pugs, Maltese). The largest can carry dogs up to 22 pounds (West Highland Terrier, Silky Terrier, English Toy Spaniel, Bichon Frise). Now that we’ve looked at some of the best dog crates out there, it’s time for some tips. Training an anxious dog to accept and enjoy its crate can be a challenge. Here are some great pieces of advice to properly and safely crate train your anxious or nervous dog. Start by casually leaving the door of the crate open and lay your dog’s toys inside. They will have to step inside the crate of their own accord to grab the toys. After a few days, leave the treats and toys further back in the crate, so they need to venture further inside. At this point, you shouldn’t force the dog to go inside – this can cause even more panic. Eventually, your dog should start going into the crate to lie down of their own accord. When they fall asleep, close the door until they wake up. When they wake up, praise them generously and let them out immediately. If they take well to this, you can start to increase the amount of time you leave the door closed for. Dogs shouldn’t stay in the crate for any more than three or four hours if they’re young. They need to be let out to empty their bladders. See how your dog reacts to you leaving the house while they’re in the crate. Try it just for a few minutes at first – see if you can hear any barking or whining. Start with small periods of time (up to 5 minutes), then start to extend the amount of time you’re gone for. Perhaps the most important tip to help crate train your nervous dog is to never use the crate as a punishment. Never banish your dog to the crate if they have misbehaved. This will cause them to fear and reject the crate. Naturally, their anxiety will rise when they go near it because they associate it with punishment. The aim is to turn the crate into a safe and comfortable space for them, not a cage associated with negativity. There are lots of things to consider when choosing a dog crate for a nervous dog. 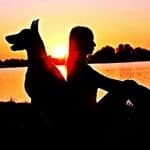 But perhaps the most important thing to think about is your dog’s wellbeing. You don’t want to put your pup through any unnecessary stress if you can help it. Buying the right dog crate can help make the crate training process easier. The soft sides and comfortable linings help the dogs to see the crate as something desirable and relaxing, rather than scary and intimidating. When done effectively and properly, crate training can be ideal for dogs. It gives them their own safe haven within your home and also teaches them a lot about acceptable behavior and control. Follow the tips above and check out the pet carriers available to start your dog’s crate training journey. What Are the Best Dog Carriers for Chihuahuas?